Protective and moisturising face and body cream. Skin is protected and safe against irritations caused by external factors such as wind, weather conditions, pollution and nappies. 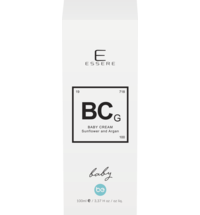 It is a gentle natural treatment with organic ingredients that supports the skin’s natural functions and maintains your baby’s face and body soft and supple. Calendula, chamomile, achillea and witch hazel flowers calm inflammations and provide an effective protective layer that soothes redness and chapping. Sweet violet stimulates the skin’s natural hydration process, leaves it toned, elastic and soft, and prevents nappy rash. The essential fatty acids of sweet almond and sesame oils are easily absorbed by the baby’s skin improving and maintaining its natural moisture balance. 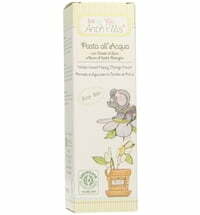 Application: Ideal after a bath or to moisturise, soothe and nourish your baby’s delicate skin. 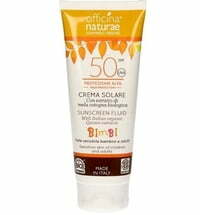 Apply a small amount of cream to the areas to protect and gently pat the skin. Didnt make my skin itchy. Fragrance very mild. Very good under makeup. Would imagine this being a good product for whole family.